WhatsApp is now the most popular IM app worldwide and the number of users is increasing very rapidly and with this, a lot of problems are also on the rise. You may have been added to some group, and some strangers have added your number and keep on messaging you personally or within the group which you always may not like. So, here’s a good news for all WhatsApp users on Android. Now you can turn of group chat. The new version 2.11.230 for Android has added the option to turn off a group chat for a century, which is definitely gonna be welcomed by most people who don’t wanna get to social or join in a conversation publicly. 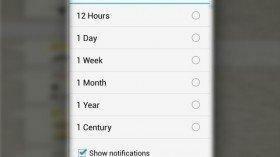 Earlier, it could be done only for a maximum period of one year and also, in this update there is an option to tun off all group chat notifications. The new update includes a new camera icon and voice message icon. It has not arrived yet on the Google Play Store, but if you wanna do it right now, head to the official site of WhatsApp and download the apk file, install it and live peacefully without getting disturbed by some strangers. This might sound a bit crazy, but it is gonna be helpful for many people, including some guys like me.